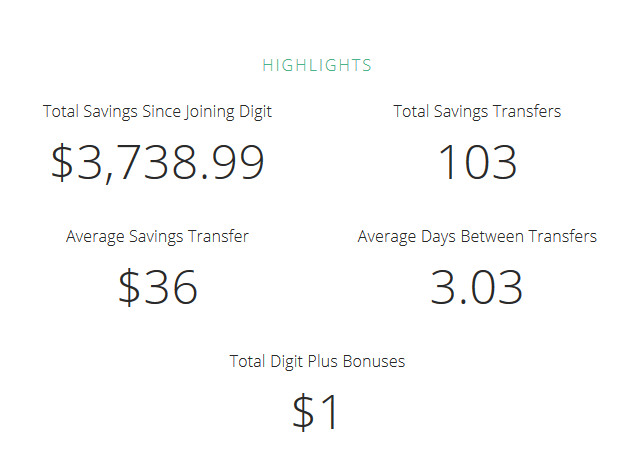 Save thousands with Digit, the automated savings tool! Alright, so full disclosure. Although I’m posting my affiliate link, Digit didn’t ask me to write this article. I’ve been using Digit since it’s debut (a little over a year) and have been quite pleased with the results. For those unaware of Digit, it’s a way to save money without it interrupting your cash flow. Honestly, you won’t even notice it. Let me tell you how it works. 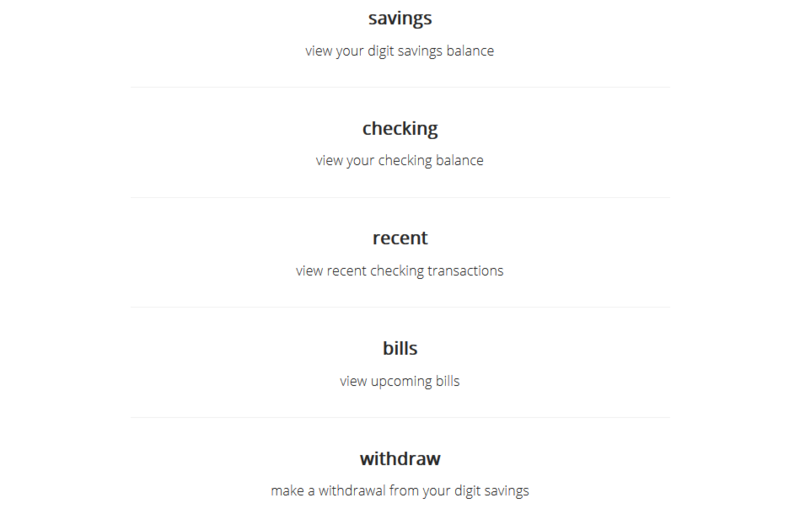 First you sign up for digit (hopefully using my link https://digit.co/r/WyFva?wn) and link it to your bank account. No worries, it’s free! 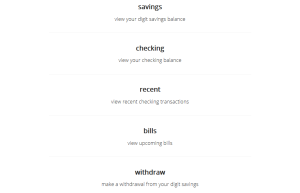 Digit will then scan your checking account and find patterns so it knows how much is coming in and going out. It’ll take into account when your bills come out and how much they are. It takes it a few weeks to get a good idea of your spending habits. From there you turn the auto-save feature on. Digit will then use it’s crazy algorithm to siphon a few dollars here and there into your digit savings account. If you don’t keep much money in your checking account, it’s alright! Digit won’t overdraft you. They guarantee it! They’ll even pay the fee if it happens. Sign up for Digit today! You are probably thinking, how is this different than a reoccurring bank transfer? Easy, those are just automated things that you likely don’t have setup anyways. And even if you do, it doesn’t know when it’s safe to take money and it’s a preset amount. It just takes it and leaves you broke or stuck having to transfer money back which often comes with its own fees. Digit analyzes your account and knows if its okay to take the money first. Here is the cool thing, Digit isn’t even an app! It’s controlled 100% via text messages. Every day at noon I get a text message letting me know how much is in my checking account. It also will tell me how much money it’s saved me. Or if I’d like, it’ll let me save even more just by sending a text. 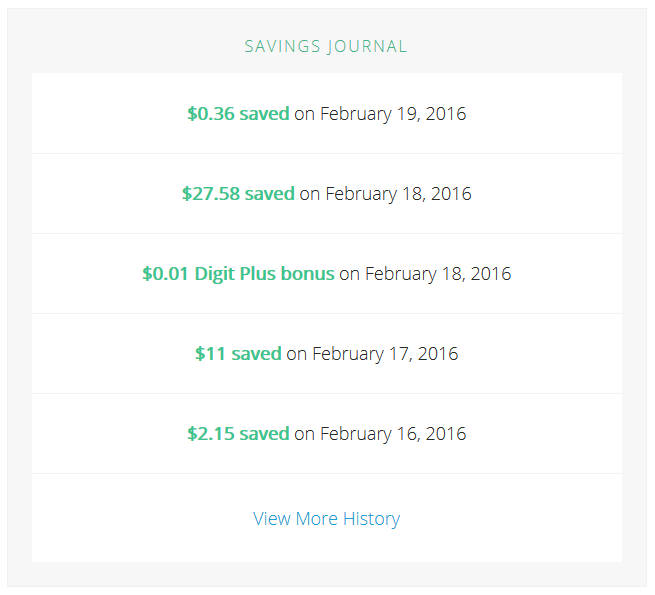 “Save $100” and next thing you know, Digit has moved the money and done the hard work for me. It works the other way too. If I need to tap into the Digit funds, I just send a text “Withdraw $200” and it usually takes a day or two for it to transfer. They estimate it’ll save you a good 5% every year. I’m not sure if that’s true, but I’ve saved over $3,700 without even noticing. So what are you waiting for? Start saving today!